In 2015, Arlington County Parks began renovations to its Oak Grove Park playscape. Local kids wanted a tower of excitement, and park officials wanted a playground that would fit in with its surroundings. Arlington County Parks turned to Playground Specialists of Thurmont, Maryland for help. 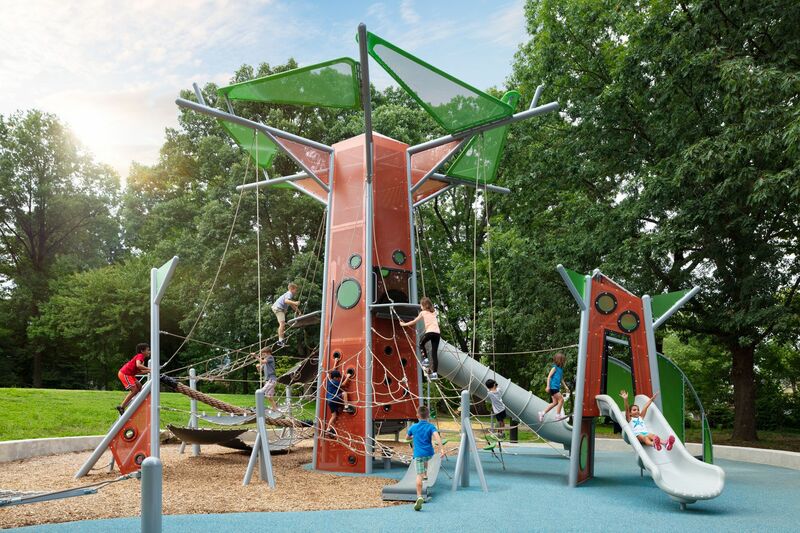 Playground Specialists provided a Super Branch Out structure to pay homage to the park’s landscape while giving kids a place to climb, socialize, and rest. Super Branch Out’s massive size and challenging play events ensure that it stands out—even among the oak trees.